US President Donald Trump said Saturday that the US and North Korea have made progress in their denuclearization talks, while officials from the two countries have begun negotiations to craft details of agreement for a second summit next month. 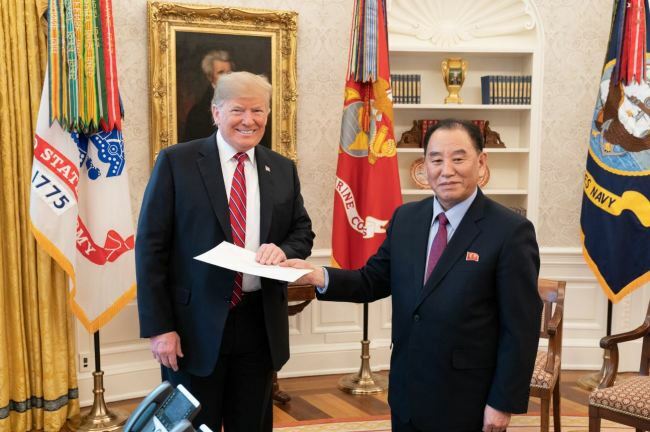 “We have made a lot of progress as far as denuclearization is concerned and we’re talking about a lot of different things,” Trump said after a 90 minute meeting with North Korean nuclear envoy Kim Yong-chol at the White House on Friday. Trump said his summit with North Korean leader Kim Jong-un would take place at the end of February at a location to be announced later. Vietnam is thought to be the most likely country to host the summit, with media agencies reporting the site will be either Danang or Hanoi. “Things are going very well with North Korea,” Trump said. 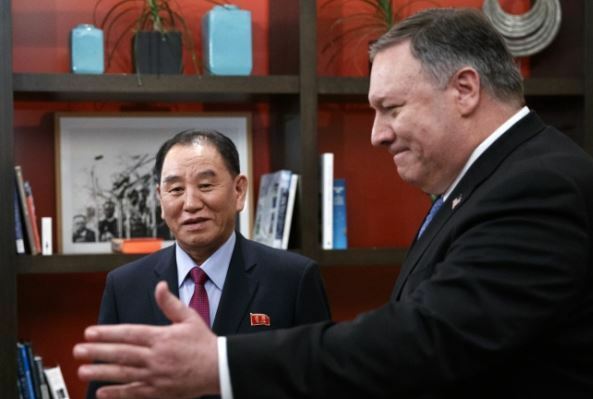 Before meeting Trump, Kim Yong-chol, vice chairman of North Korea’s ruling Workers’ Party Central Committee met US Secretary of State Mike Pompeo for about an hour in a Washington hotel. While Kim was wrapping his three-day visit to Washington and flying back to Pyongyang on Saturday, North Korea’s Vice Minister of Foreign Affairs Choe Son-hui kicked off negotiations with South Korea’s Lee Do-hoon, special representative for Korean Peninsula peace and security affairs at the Ministry of Foreign Affairs, and the US’s special representative for North Korea, Stephen Biegun, in Sweden on Saturday. The three officials gathered in a resort town on the outskirts of Stockholm, and the negotiations are expected to continue until Tuesday to develop an agenda for the upcoming North Korea-US summit. In addition to three-way negotiations, the North and South will also hold bilateral talks to narrow the gap between Pyongyang and Washington. Since the Singapore summit, the two sides have struggled to make headway as the US has demanded North Korea provide an inventory of nuclear and missile programs while the North has insisted it will not unilaterally disarm and demanded the relaxation of sanctions before offering any more concessions on its nuclear program. Topics of the Stockholm talks are likely to include the dismantlement of North Korea’s nuclear facilities in Yongbyon and missile-engine test facility in Dongchang-ri, the establishment of a channel of communication between North Korea and the US as well as resumption of the joint industrial park in the North’s border town of Kaesong and resume a suspended tourism program to Kumgangsan. Amid growing speculations that the second summit will focus on dismantling North Korea’s intercontinental ballistic missiles -- which are potentially capable of striking the US -- rather than comprehensive methods of denuclearization, the Trump administration will keep pressure and sanctions on the communist nation until it sees “fully and verified” denuclearization, White House press secretary Sarah Sanders said Saturday.